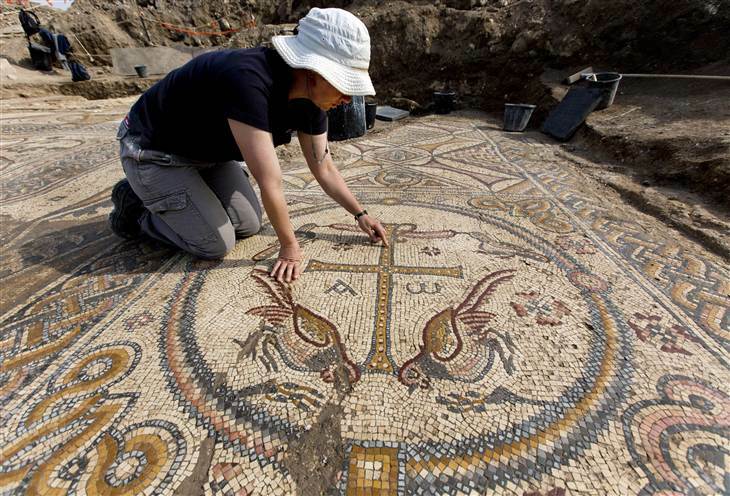 Archaeologists in Israel have uncovered a 1,500 year old mosaic church. Dating to the Byzantine Era, the mosaic depicts animals, geometric patterns, and Greek inscriptions. Archaeologist hope to eventually move the mosaic to a museum for preservation and study.